Distruction Boyz plan on coming back with a BANG. 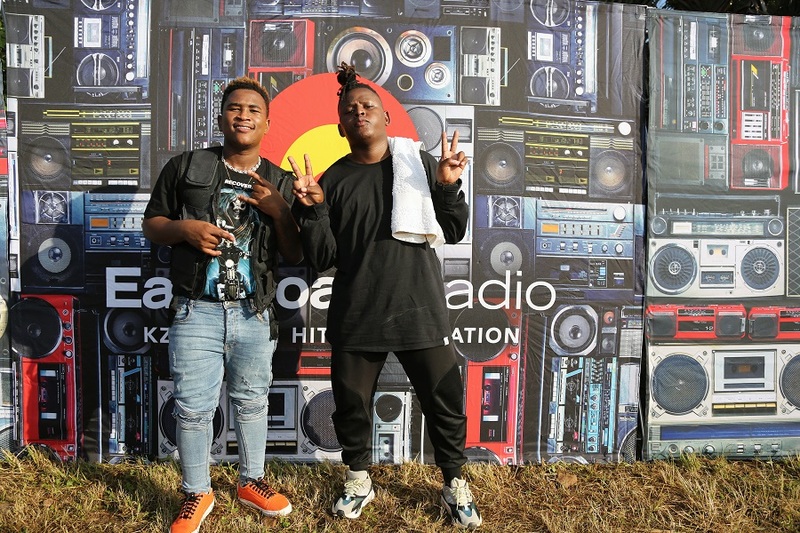 Kwa-Mashu boys – Thobani ‘Cue’ Mgobhozi and his partner in music Zipho ‘Gold’ Mthembu are both very popular Gqom deejays and producers who go by the name, Distruction Boyz. The duo who also happen to be South African Music Awards (SAMAs) Nominees, shot to fame after producing the ultimate dance hit track WOLOLO by Babes Wodumo as well as the club banger Shut Up & Groove! Gqom is a dark and hypnotic club sound from Durban in the Kwa-Zulu Natal province and Distruction Boyz are some of the people that are considered to be pioneers behind the movement. The boys have been quiet for a while now as they have been busy in the studio cooking up some new tunes dubbed to be the new softer sound of Gqom, they call it the “New Wave Energy” which features new elements of synthetic sounds. This sounds like the beginning of a new era for the township sound as it has a broader international appeal. This is the trend that we are witnessing across all genres in South Africa – music makers want to reach the global audience. The new sound that the duo is cooking is heavy on the synthesizers but still keeps the bass that we know and recognize and associate with Gqom. This “New Wave Energy” has a clear and distinct electronic dance music feel. The effects could easily be mistaken for the standard packs that come with the Fruity Loops beat making software. Take a listen and tell us what you think of the music in the comments section.